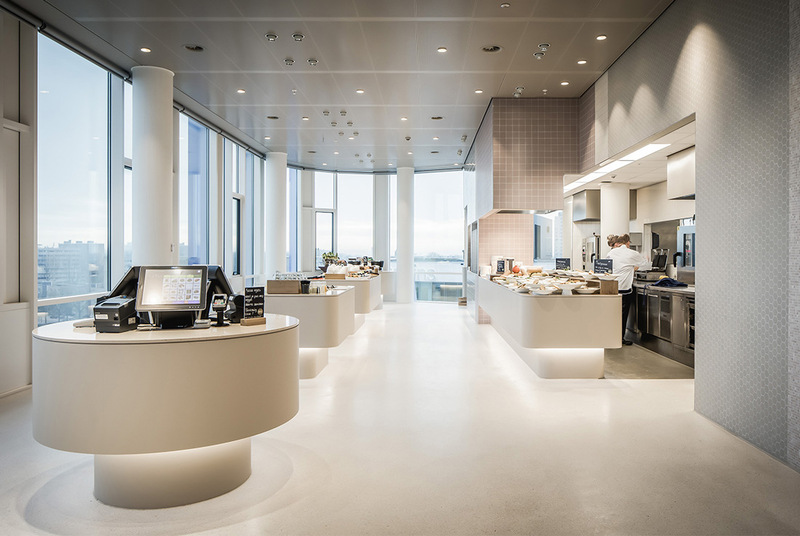 NautaDutilh’s office in the heart of Amsterdam’s financial distrtict has undergone a complete makeover with lighting playing an important part in the renovations. The architectural creation by Casper Schwarz draws links between the history of one of Europe’s largest law firms, NautaDutilh, dating back to 1724, with the contemporary rituals of modern business as well as demands of the company’s workflow. The idea was to create a work environment that offers more than just a plain office space, instead creating an office site that fully supports new office trends. 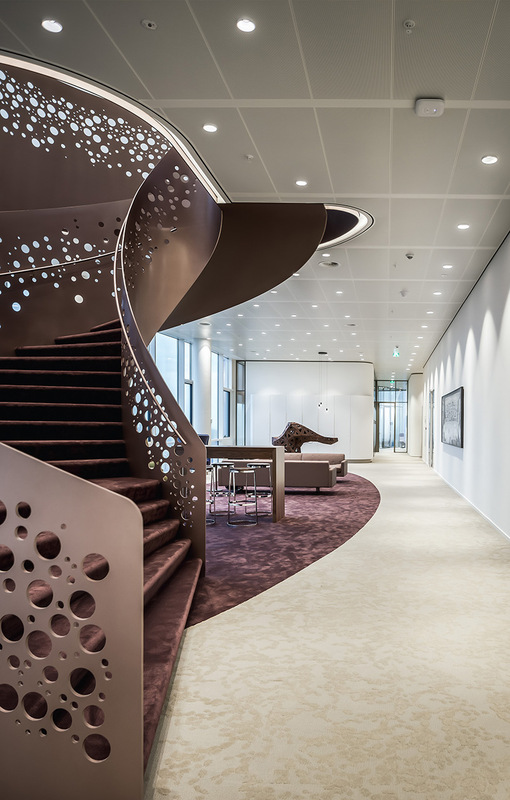 The central happening revolves around, for office space unusual coffee corners, and an ascending staircase, towards which leads a strand of Pipes R downlights. Lighting designers at Studio Rublek, also with their selection of Intra lighting luminaires provided highly efficient illumination which offers light quality and an excellent light comfort that can be highly adaptable by the needs of individuals, energy efficient, and maintenance free. »We chose to work with Intra lighting because of their quality on many levels. Our goal was to find a luminaire that has a perfect balance between price and quality,«said the lighting designer from Studio Rublek. The goal of each element within the premises is to foster better interaction between employees and clients, where work is first and foremost done with a personal approach. The subtility of the environment created within those offices blurs the harsh lines between work and elements of casual living. The binding innovations within the architectural choices communicate transparency of the work done and foster the exchange of knowledge. It has all been created in mind with the focus of well-being, concentration, collaboration, and productivity of those influenced by the quality of light under which they work.